Bring your card and craft projects to a whole new level. 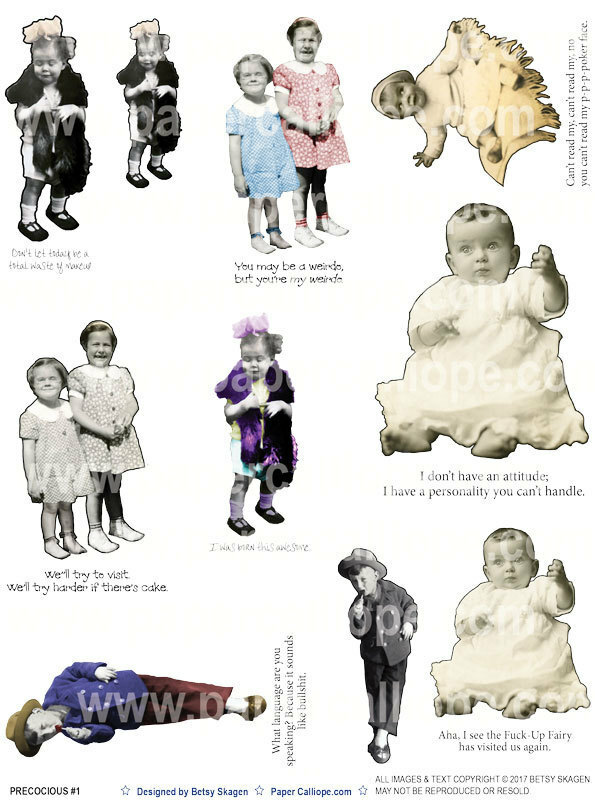 These images are ideal for mixed media, altered art, scrapbooking and collage enthusiasts who want to add to their ephemera collection. The images include unique vintage touches like creases and dog-eared corners. The images are designed to be cut out from the sheet for use. Many include a dark outline that you can leave in to highlight your image or cut out for a more subtle appearance. Just remember, only you are given rights to use the digital file. ​Resources are copyright Betsy Skagen and for personal use only, or for commercial use in works of art that are made by hand only. You are welcome to edit the file for size, color etc for personal use. The images are not for resale or redistribution.